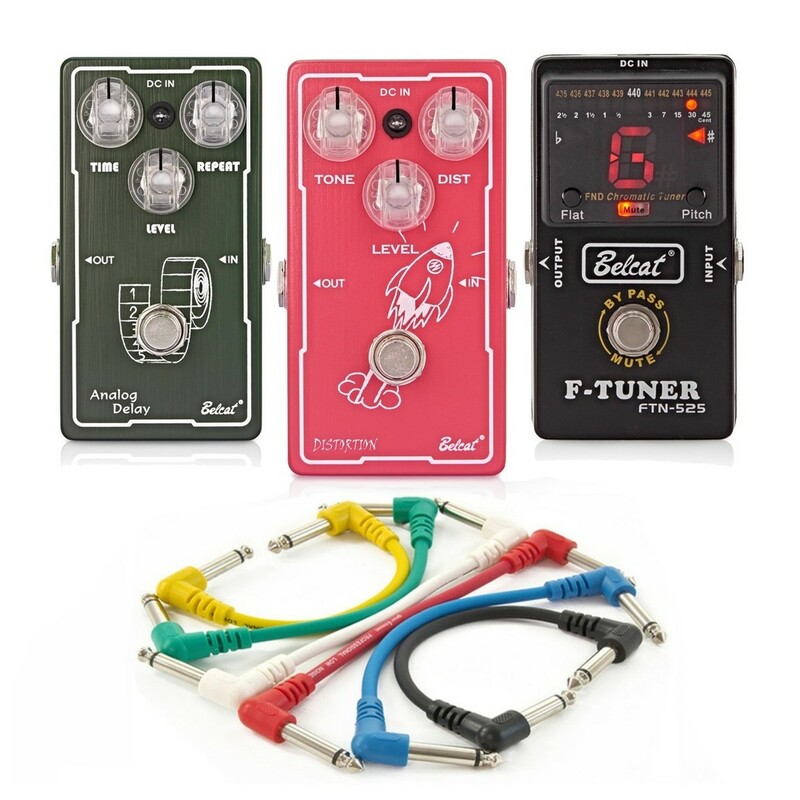 The Belcat DST-601 Distortion Pedal, FTN-525 Chromatic Pedal Tuner and DLY-603 Analog Delay Pedal have been carefully selected to feature in this essentials pack - a series of pedals that will be vital to any pedal board set up regardless of genre. This convenient little bundle includes 3 very important pedals that should be included in every guitarists rig. 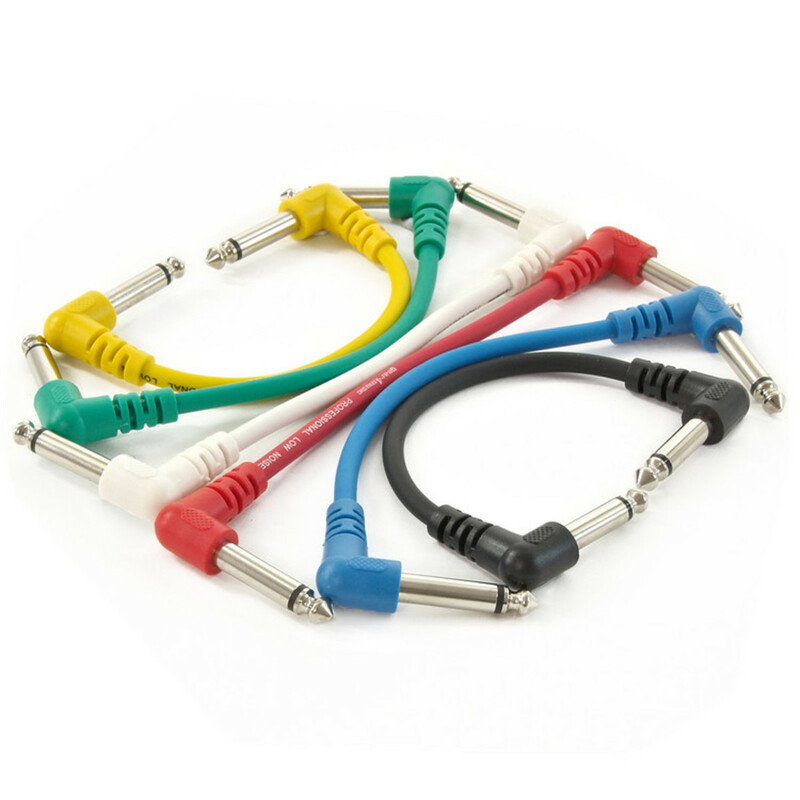 Also included are 6 Jack-Jack Patch Cables to complete this quality pack. 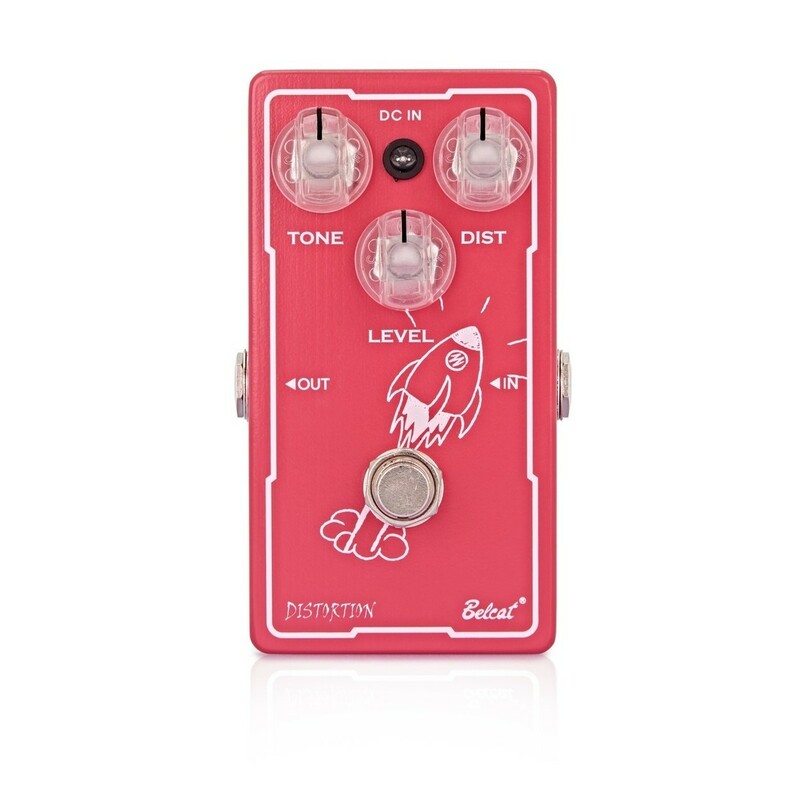 With an eye catching rocket ship graphic, distinctive red colour and three control knobs, the DST-601 is attractive, simple and easy to use. Tone tweaks the EQ and increases definition and amount of body the pedal produces, Distortion controls the amount of distortion you have on your sound from a small crunch to screaming distortion, level controls the amount of output your pedal creates. The DST-601 is versatile due to its tweakable tone and distortion parameters, different amounts of each allow to create different tones. On super saturated settings the note definition of this pedal remains excellent, with the low end staying crisp and tight. The DST-601 is a truly great addition to any heavy rock guitarist's pedal set at a very competitive price. The Belcat FTN-525 Chromatic Pedal Tuner boasts an especially large and clear LED display, particularly useful in gig and rehearsal situations where you are playing in a low lit environment. With a clean bypass option this pedal is perfect for integrating into a permanent setup with no loss or distortion to your sound. The heavy duty steel housing protects the FTN-525 from the elements, and its chromatic function will always make sure your guitar is finely tuned with a minimum of fuss. Perfect for bass players, the FTN-525 has a tuning range that is particularly intuitive for bass frequencies (A0-C8). 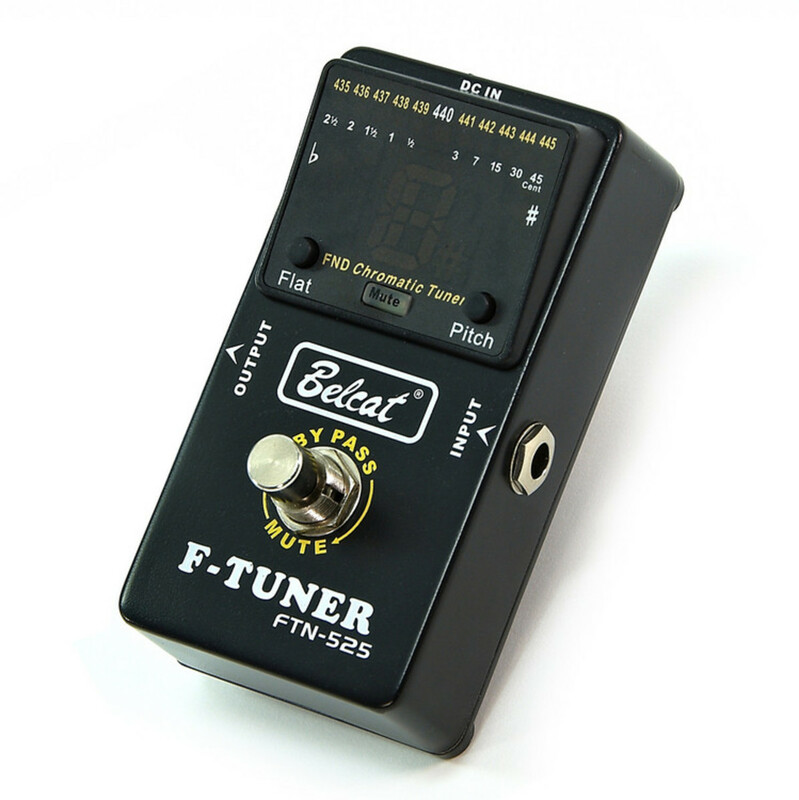 This low A functionality makes the Belcat Chromatic Tuner ideal for 5-String bassists. 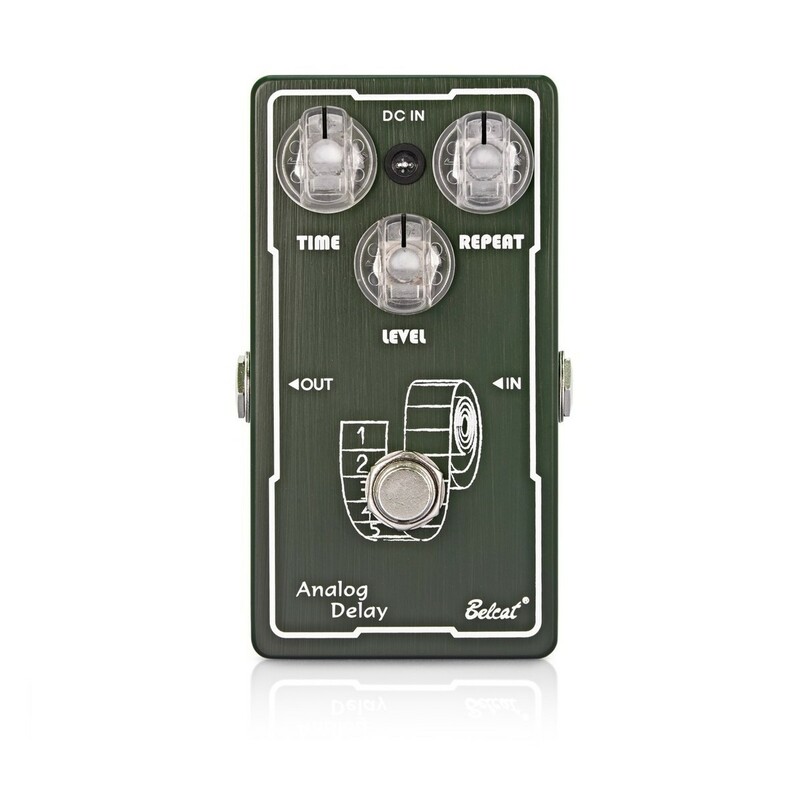 One of the best value for money, high quality analogue delay pedals on the market, the Belcat DLY-603 Delay Pedal is a retro sounding unit, an analogue tape emulator that is quiet and clear. The DLY-603 sports "Time", "Level" and "Repeat" controls, housed in a durable solid steel casing that will take knocks on the road, perfect for any gigging musicians pedalboard. Sound wise, this pedal is unique in the way it accentuates the tone of the guitar that is running through it, particularly in the way it makes single notes soar with a thick echo. The DLY-603 is a distinctive looking pedal with a unique sound at a very competitive price.